Résultats par auteur "Frank Conroy"
Frank Conroy first visited Nantucket with a gang of college friends in 1955. They came on a whim, and for Conroy it was the beginning of a lifelong love affair with this "small, relaxed oasis in the ocean." This audiobook, part travel diary, part memoir, is a hauntingly evocative and personal journey through Nantucket: its sweeping dunes, rugged moors, remote beaches, secret fishing spots, and hidden forests and cranberry bogs. 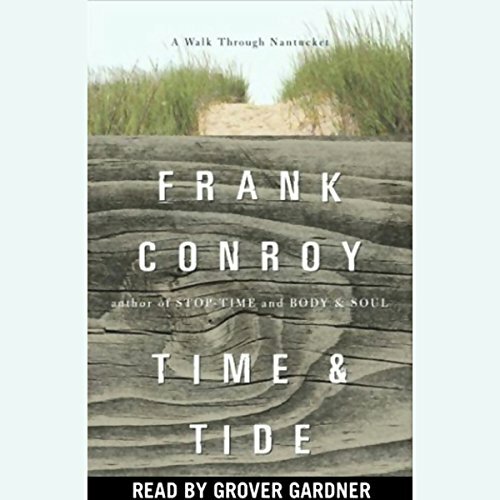 Frank Conroy first visited Nantucket with a gang of college friends in 1955. They came on a whim, and for Conroy it was the beginning of a lifelong love affair with this "small, relaxed oasis in the ocean." This book, part travel diary, part memoir, is a hauntingly evocative and personal journey through Nantucket: its sweeping dunes, rugged moors, remote beaches, secret fishing spots, and hidden forests and cranberry bogs. Singularly focused. But, still very entertaining!